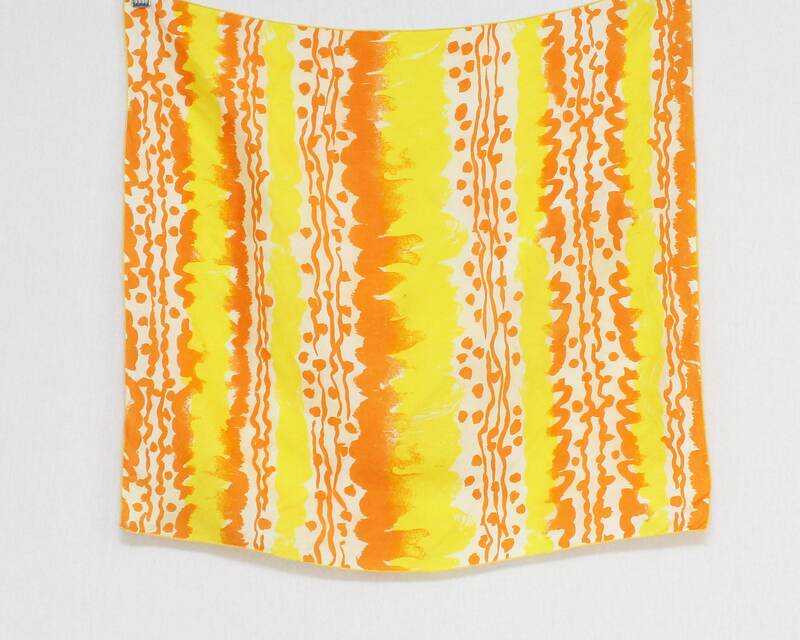 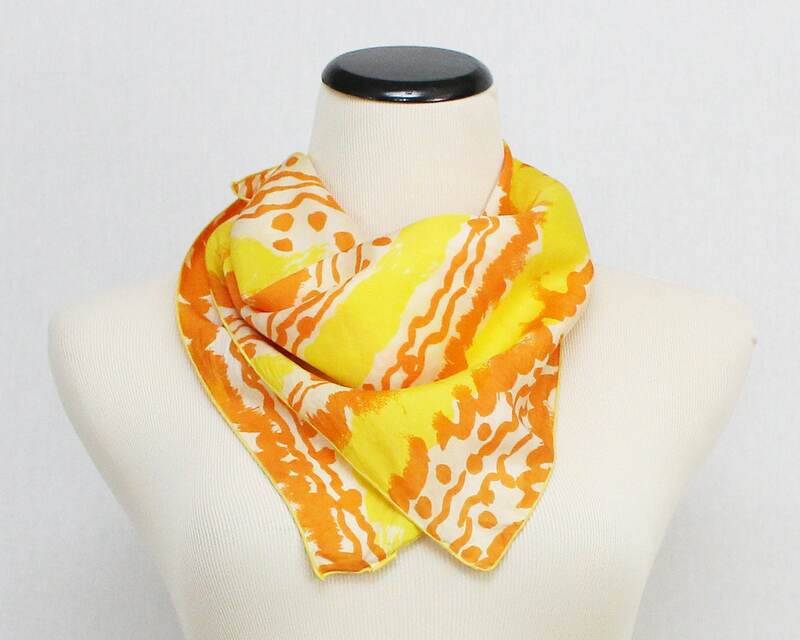 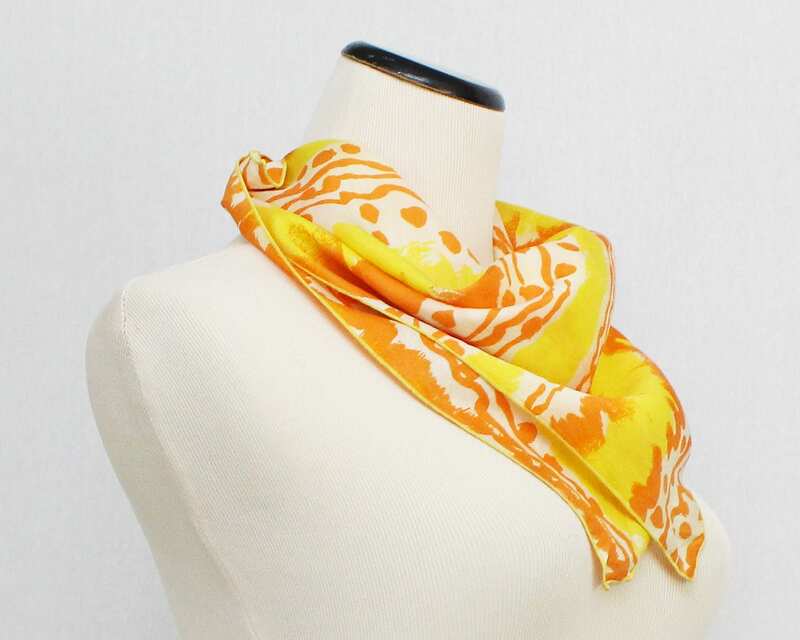 A vibrant yellow and orange silk scarf by Vera Neumann in an abstract design. 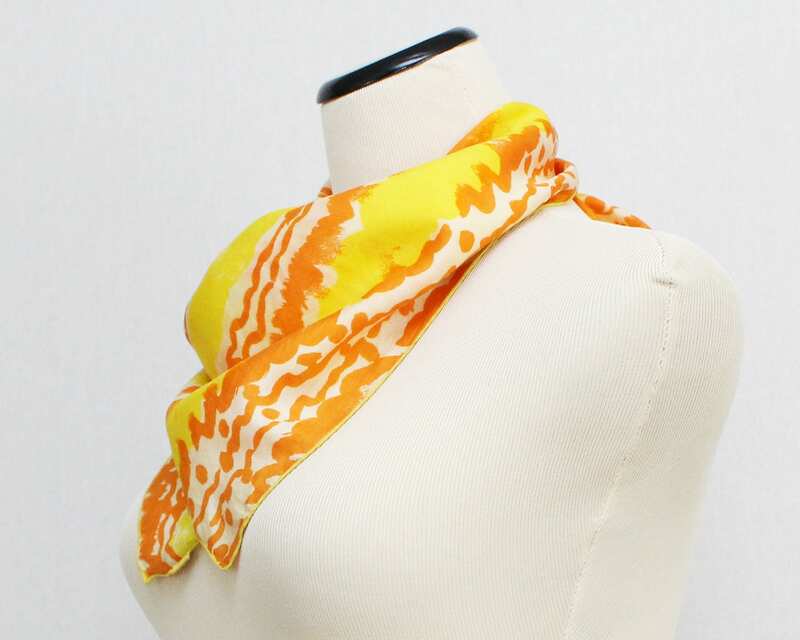 A rare Vera scarf, without her signature. 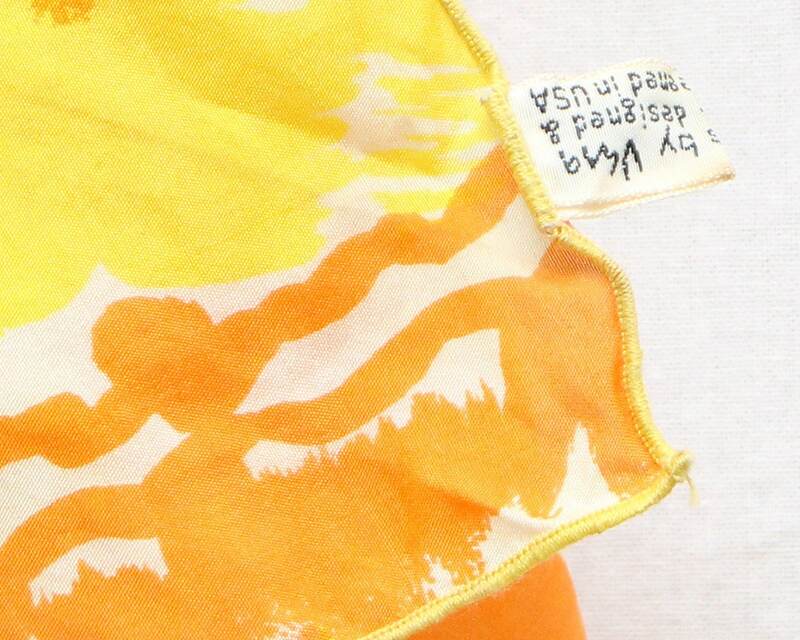 The maker's tag, identifying it as Vera, is attached and the edges are finished.